Like many grains, barley is a multi-tasker. As far as cooking is concerned, we know it best as those little nutty pearls of hearty goodness often found in soups and stews or eaten as a cereal. Learn about barley, and get some cooking tips before delving into the barley recipes. Like all grains, barley should be kept in an airtight container to discourage moisture and vermin intrusion. Store in a cool, dark cupboard up to one year. Barley flour should also be stored airtight. It will last about a month on the shelf and 2 to 3 months in the refrigerator or freezer. Barley flour may be substituted for all or part of the wheat flour in recipes. However, due to its low-gluten content, you may wish to combine with a high-gluten flour when using it for baked goods intended to rise, such as bread and cakes. Barley flour makes an excellent thickening agent, particularly for soups and stews. Pearl barley works well in soups, stews, and salads since it readily soaks up the flavors in the broth or dressing. Hulled barley takes quite awhile to cook, upwards of one hour per cup in 3 to 4 cups of liquid. 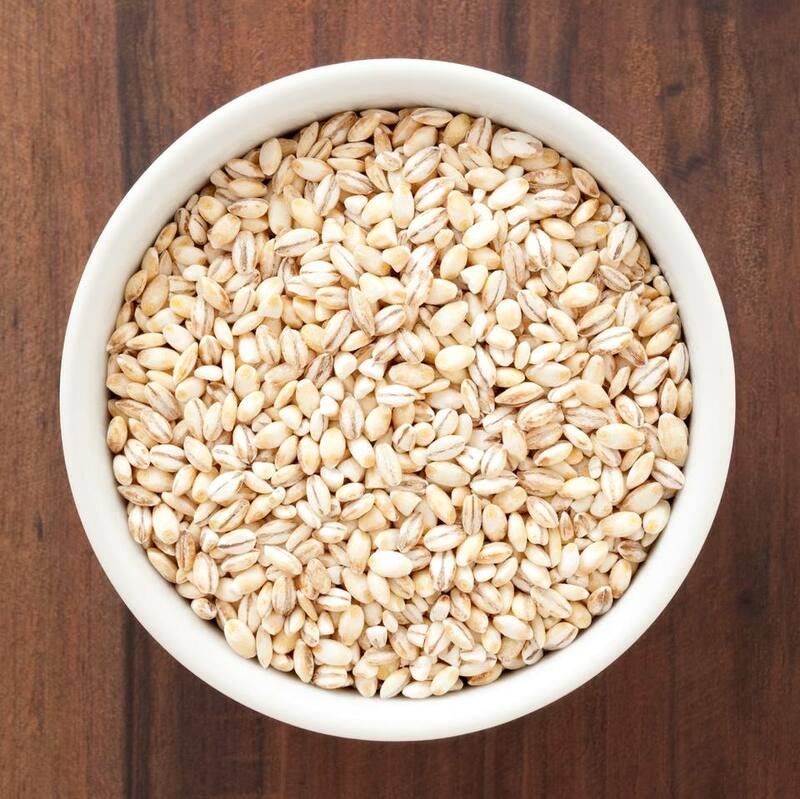 Pre-soaking for several hours is recommended, and the soaked barley may be cooked in the same soaking water. Pearl barley needs no pre-soaking and usually cooks within 30 to 45 minutes. Quick barley will cook in 10 to 12 minutes. When cooking pearl barley, cook in twice as much liquid as the barley measure. About 1-1/2 cups cooked barley will enhance 2 quarts of soup or stew. Cinnamon, garlic, marjoram, parsley, and thyme go well with barley. Barley flour gives a cake-like texture to baked goods, but it needs to be combined with all-purpose flour for leavened bread. Use 1/4 cup barley flour plus 3/4 cup all-purpose flour to replace all-purpose flour in a leavened (yeast) recipe.